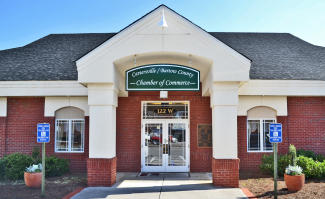 The Chamber motto is “Chamber Serving Businesses…Businesses Serving the Community.” Member businesses benefit from networking, referrals, business development, advertising opportunities and much more. 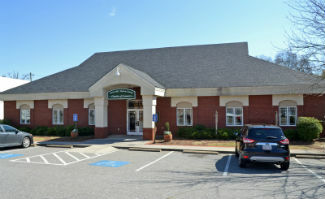 In addition, investment in the Chamber is an investment in the growth and prosperity of the entire community. The Chamber relies heavily on the many incredible volunteers who serve, get involved, and give back. We invite and encourage members to be active members, participating in programs of interest and benefit to them and their businesses. The Chamber has a dedicated Board of Directors comprised of a diverse representation of Chamber members elected by the general membership, all focused on serving member business interests on many levels. Historical Note: The first Charter for the Chamber of Commerce was issued by the Bartow Superior Court on July 13, 1889. Those petitioning the creation of the Chamber at that time were J.A. Stover, E. Strickland, R.G. Mays, W.C. Baker, J.P. Jones, R.W. Satterfield, and J.R. Wikle.